Whoever came up with the idea of putting TEARS FOR FEARS and ALISON MOYET together on a concert bill was a total genius! They each have scored six Top 10 UK singles and two No1 UK albums while also winning various BRIT Awards, all this without including Moyet’s stint in YAZOO with Vince Clarke which netted a further three Top 5 UK singles and a further No1 album! Unsurprisingly at London’s O2 Arena, people started taking their seats early for ALISON MOYET’s eleven song opening set. Over the last six years, she has seen something of an artistic renaissance with her two most recent albums ‘the minutes’ and ‘Other’ showcasing a return to electronica, thanks to a new fruitful partnership with Guy Sigsworth. Beginning with ‘I Germinate’ from ’Other’, there was a format change from that tour in 2017 with the inclusion of Paul Jones on electronic percussion alongside regular Moyet multi-instrumentalist Sean McGhee. As some of the audience pondered whether she would play any YAZOO material, Ms Moyet introduced a song that she wrote when she was just 16. 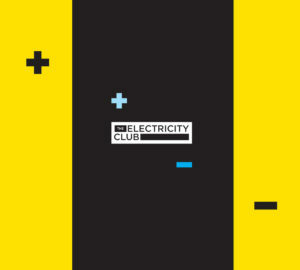 With its iconic burst of synth, the crowd roared their approval for a the wonderfully melancholic ‘Nobody’s Diary’. 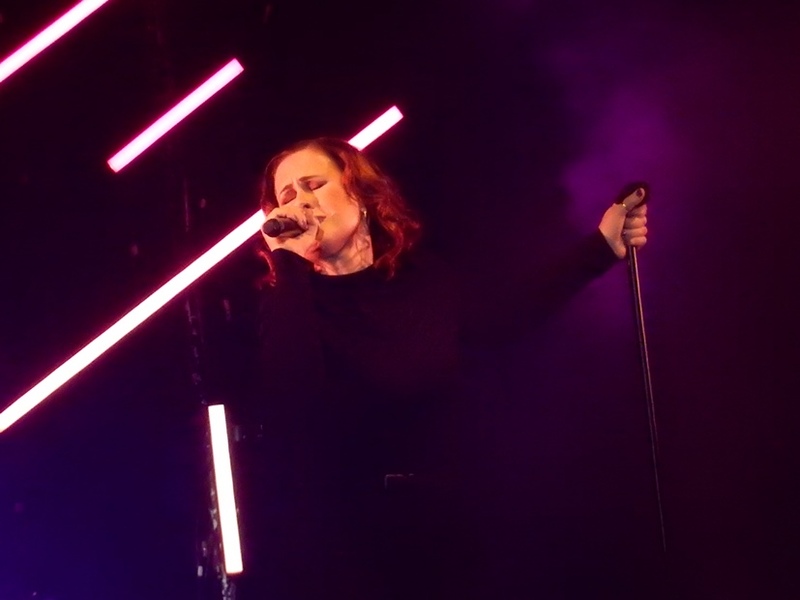 ‘Beautiful Gun’, Moyet’s gusty attack on the NRA showed her old classmates in Basildon a thing or two about authentic blues while on ‘All Cried Out’, McGhee was particularly superb in his falsetto harmonisation with his boss’ deeper gutsy growl. Following on, ‘The Rarest Birds’ celebrated Moyet’s recent rejuvenation thanks to a relocation to Brighton while there was a surprise with a rendition of ‘The Sharpest Corner (Hollow)’ from 2007’s ‘The Turn’. As the crowd held their breath for more YAZOO, Moyet delivered with ‘Situation’ as the first pockets of the audience cautiously stood up before a practically Vince Clarke faithful ‘Only You’ initiated the first massed singalong of the evening. The spectre of her former YAZOO bandmate continued to loom during a superb synthed-up arrangement of the saucy ‘Love Resurrection’, while the distinctive meaty tones of ‘Don’t Go’ put a now nearly full O2 on their feet with our heroine even pulling a few dance moves herself. 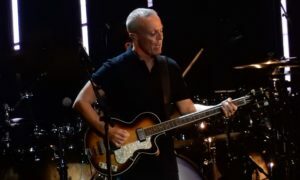 Of course, the crowd were there for TEARS FOR FEARS, but there was a time ten months ago when all that was thrown into doubt due to “unforeseen health concerns” which postponed the original May 2018 tour. 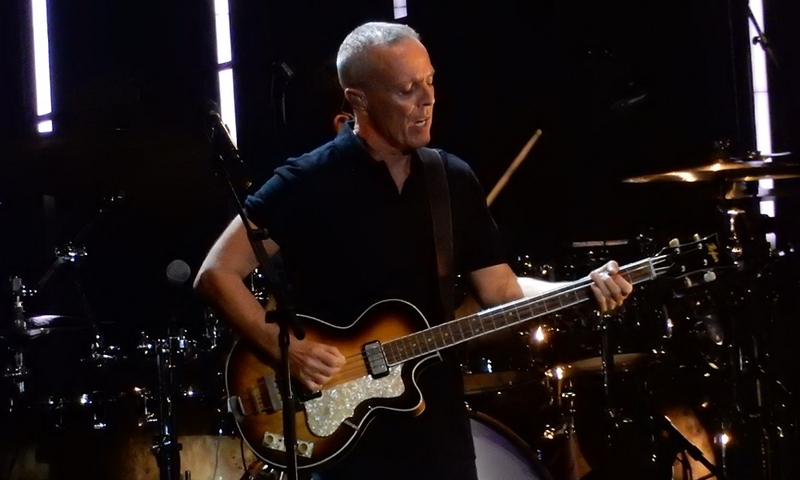 More recently, Roland Orzabal undertook rehearsals with the band alone while Curt Smith made cryptic comments on social media about possibly not being on board and all not being well! Certainly their split back in 1990 was fractious. 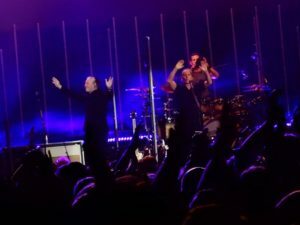 However, the pair got back together in 2004 for the ‘Everybody Loves A Happy Ending’ album which attracted mixed responses from fans and critics alike, but re-established TEARS FOR FEARS in their classic duo guise. 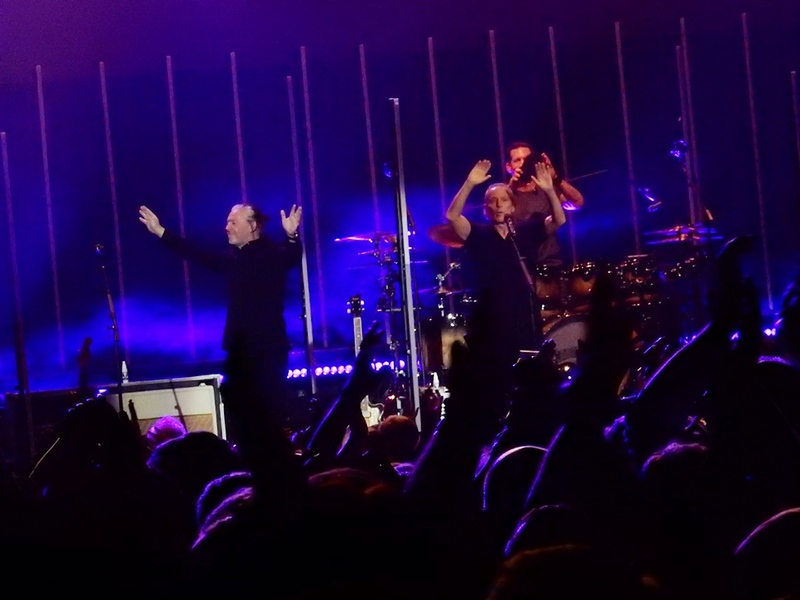 The pair certainly didn’t mess about with the start of their biggest ever UK show, launching straight into ‘Everybody Wants to Rule the World’ following a taped intro of Lorde’s cover version. 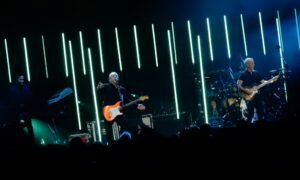 One of the most perfect driving songs, Smith and Orzabal seemed to be in good spirits although any onstage chemistry between them was notably absent. From ‘Everybody Loves A Happy Ending’, ‘Secret World’ featuring a section of Paul McCartney’s ‘Let ‘Em In’ went down well, the song getting better over the years like a fine wine. Continuing THE BEATLES themed vibe, the rousing ‘Sowing the Seeds Of Love’ also did the job. 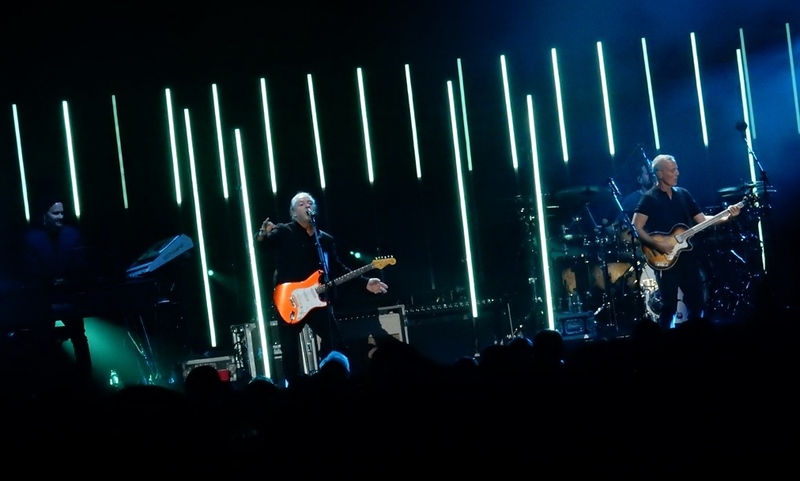 Meanwhile the classic ‘Pale Shelter’ recalled the emotional angst that was part of TEARS FOR FEARS’ original appeal with drummer Jamie Wollam remaining largely faithful to the original, but providing the necessary dynamic bite for the occasion by substituting the programmed synthetic claps towards the end with snare rolls. This approach didn’t work all night however, with Wollam having a bit of a Christian Eigner moment during ‘Memories Fade’ which did not suit the solemn electronic goth at all, but at least it was mercifully short! ‘Break It Down Again’ from the solo Orzabal incarnation of TEARS FOR FEARS got an airing but suffered from the quality of material around it. 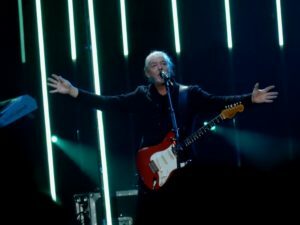 ‘Change’ got the squeaky audience vocal treatment but as mighty as ever, ‘Mad World’ had everyone mesmerised, although Orzabal eschewed his iconic jerky dance from the video which was often ridiculed but captured the song’s percussive intensity. 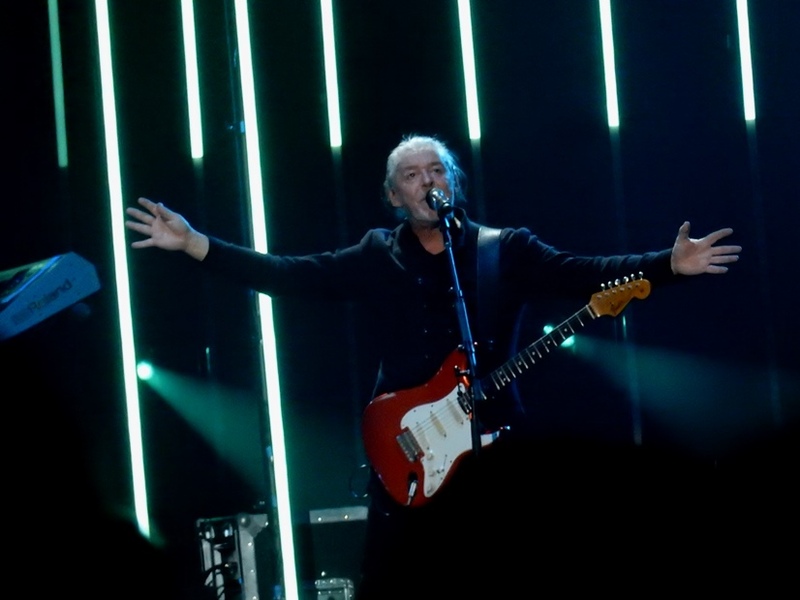 A huge surprise came with a stripped down piano version of ‘Suffer The Children’ sweetly sung by backing singer Carina Round; covered in more recent times by MARSHEAUX, the song certainly suits a female voice although Orzabal joined in for the closing title refrain. Carina Round also did a wonderful job replicating Oleta Adam’s part in ‘Woman In Chains’ while Smith took the lead again on ‘Advice For the Young at Heart’. Defeat was almost snatched from victory with the inclusion of the dreadfully self-indulgent ‘Badman’s Song’ which promoted much of the audience to sit down, but everything got back on track with the anthemic ‘Head Over Heels’ before the band left the stage to the frantic rock of ‘Broken’. As the lights went down to tease an encore, the audience began to chant the chorus of ‘Shout’, a moment which Smith decided to capture on his phone as he returned. And with blood red visuals and shots of confetti, a brilliant performance of the lead track from ‘Songs From The Big Chair’ complete with Drumulator and live rhythmic interplay concluded a professionally slick presentation where the songs were the stars. But it must be said that things appeared tense between Orzabal and Smith. There was certainly none of those hand on shoulder moments that are commonly associated with band mates but then, TEARS FOR FEARS have never been that kind of band. That aside, it was fabulous that the pair were able to remind the wider public of their enduring catalogue and whatever the state of their personal relationship, the evening mostly delivered and entertained.